School Field Trip to Zoo! 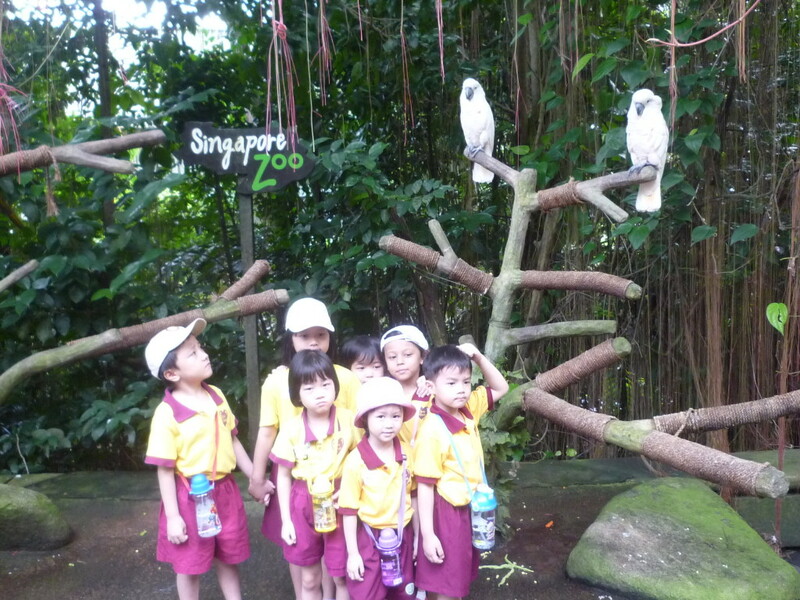 Dawn had her first field trip to the zoo with her classmates and schoolmates! 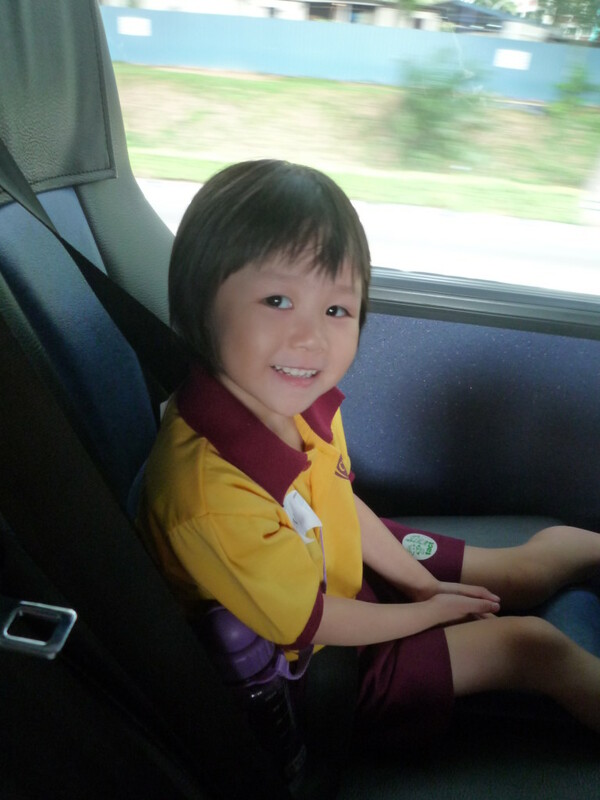 She was actually supposed to go to the zoo with her previous childcare, but due to the outbreak of HFMD, the school postponed the trip. It was fortunate that in her new childcare, they actually arranged the zoo trip too! Dawn was so excited with her trip! She sat with anticipation in the coach, and also allowed me to put on the seat belt for her. The bus was filled with excited voices from the kids and they started clapping and cheering when they saw the Zoo Signs. Dawn with her schoolmates and the parrots. It was a short trip….we managed to pass through the White Tiger exhibit, the otters, some monkeys because they ran around, the Splash Show and the Elephant show. And after which we headed back to the school. On our way out, the train of kids had all turned quiet as compared when they first stepped into the zoo. I guess all are tired. Dawn fell asleep when she went up to the coach. Guess it must be a tiring trip for her. This entry was posted in Dawn, Singapore and tagged Dawn, Theme Parks.